At times of loss and grief, our friends and family often rally around us to show their support. This can be in the form of daily help with the house and kids, emotional support via telephone, or by sending sympathy letters and cards. In the face of all these expressions of sympathy and displays of care we may be moved to thank those who came to our aid. Here we will offer some basic tips for writing a thank you letter to those who have offered you expressions of sympathy. To communicate your feelings properly it is worth putting some extra effort into your English grammar, spelling and writing style. WhiteSmoke is the perfect tool for English writing. 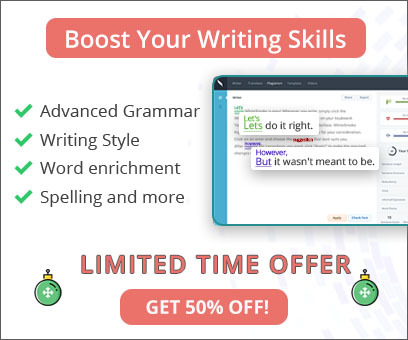 As an all-in-one solution, WhiteSmoke features a grammar checker, a spell checker, a thesaurus software and an online dictionary combined with special enrichment features to make your marketing communications stand out. By following these simple tips for your thank you letter, you are half way there. Now you need to make sure your English grammar is correct. 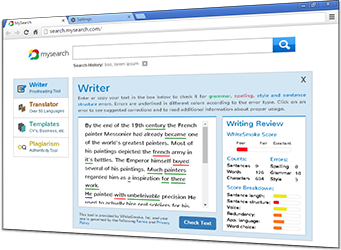 WhiteSmoke Writing Software is the most complete writing tool available for this task.